Useful for : those who need all prosperity, perfect family life, disease free body and liberation in the end. This Rudraksha belongs to Thirteen Ratna(Gems). The wearer of this Rudraksha get the thirteen Ratna (Gems) by the blessing of Lord Shiva. 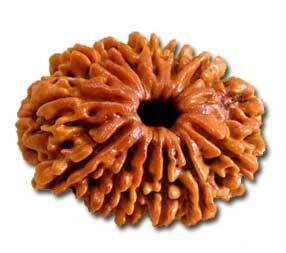 This Rudraksha removes all kind of Diseases from the Body of the wearer of this Rudraksha. This Rudraksha possess the power of thirteen Sant ( Saints). The wearer of this Rudraksha becomes intelligent, powerful, free from diseases, good spouse, sons and daughter. The Person live the life of King; it is said by Bhagwan Dattatreya. this Rudraksha is to be worn on Monday before sunrise. 13 Mukhi Rudraksha as per various Puranas : Thirteen faced Rudraksha is the form of the king Indra. Lord Indra becomes happy, if it is worn. It gives riches. If a man wears, he is upgraded, his honour increases. It fulfills all the earthly desires and gives eight accomplishments (Siddhies), and the god cupid (Kamdeva) pleases with the man who wears it. "Kartikeya samo gyeye sarva Kaamarth Sidhidah." This Rudraksha provides all attainments connected with chemical science. The researchers of medical science reach new horizons of success by wearing this thirteen face Rudraksha. 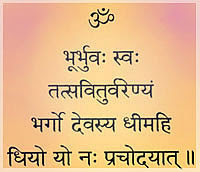 "Raso Rasayanam Chaiva Tasya Sarva Prasidhyati". Nobody can face the wearer of this Rudraksha during any debate is also an accepted truth. The effects of wearing 13 Mukhi Rudraksha are similar to that of six Mukhi Rudraksha. It is helpful for meditation and spiritual attainments. It is suggested to cause material upliftment. It increases the mental power of the wearer amazingly. 13 Mukhi Rudraksha must be worn on Monday. It should be kept safely as Rudraksha are long life assets and gives the wearer benefits in all fields. It please Lord Cupid and Lord Indra. Thirteen faced Rudraksha is the form of the king Indra. Lord Indra becomes happy, if it is worn. It gives riches. If a man wears, he is upgraded, his honour increases. It fulfills all the earthly desires and gives eight accomplishments (Siddhies), and the god cupid (Kamdeva) pleases with the man who wears it. "Kartikeya samo gyeye sarva Kaamarth Sidhidah." This Rudraksha provides all attainments connected with chemical science. The researchers of medical science reach new horizons of success by wearing this thirteen face Rudraksha.